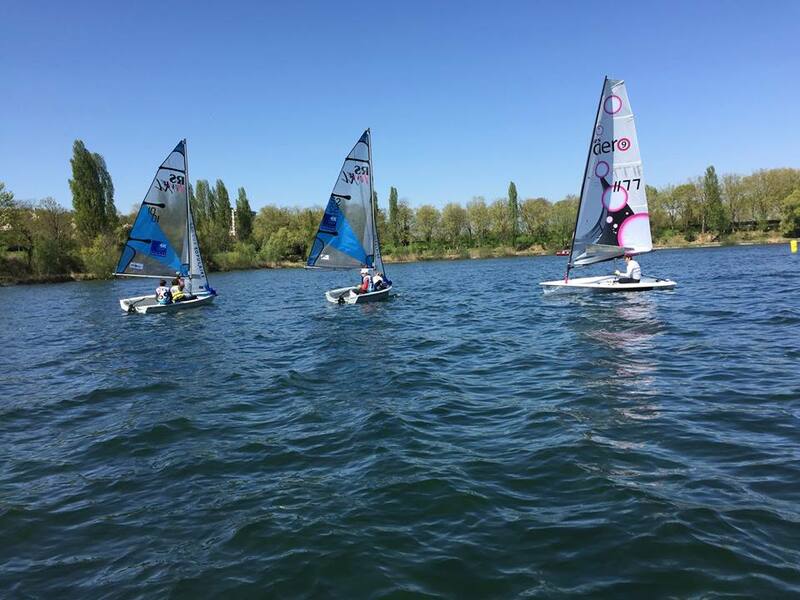 visited Viry, Paris last weekend demoing and offering test sails with their travelling fleet of RS Aeros together with RS Feva Challenge racing at the Paris Club, Club Nautique Viry Chatillon. 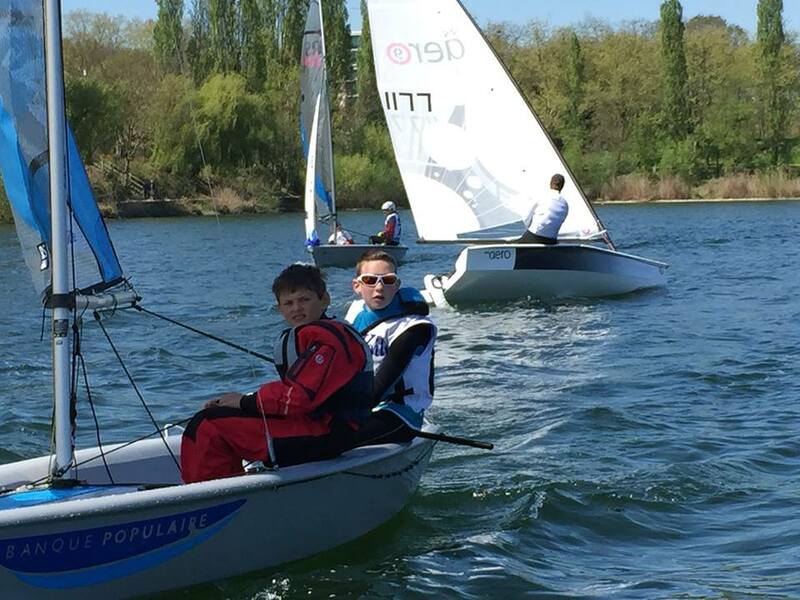 Next venue on the Demo Tour is YC de la Grande-Motte on the Mediterranean coast for, no doubt, some fantastic summer weather on 16/17th May! Full details on the Tour are here. We had good Demo weekend in Viry in Paris! A warm welcome was offered by president Alain Menard, the Club and all the team. The conditions were windy, gusty and sunny all weekend and the Club has a nice location and situation. The RS Aero demos went well as the racers there were sharing the boats that they were racing, so they then had free time to test the RS Aeros in between their races. 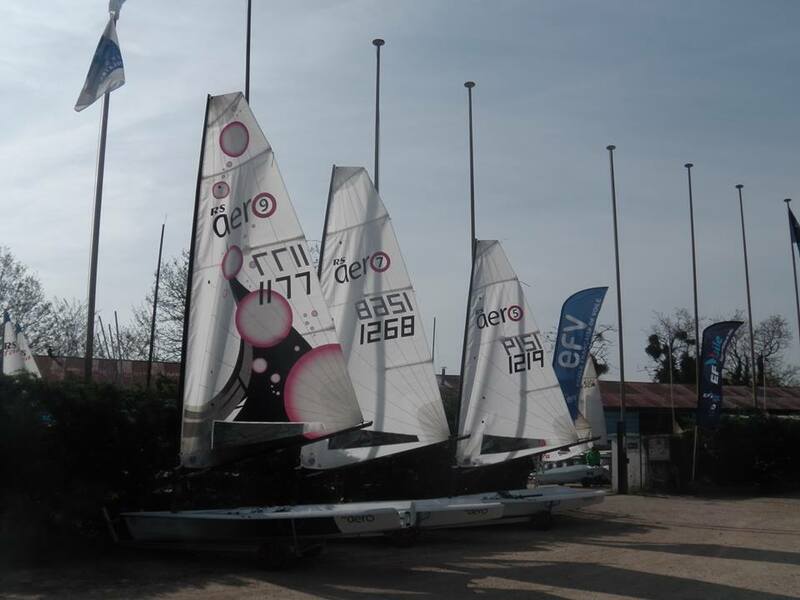 At Viry there is a natural "Nothe" cliff where spectators can see the sailing. So even the non-sailing people were test sailing the boat, watching the RS Aero blasting through a gust close to the cliff! 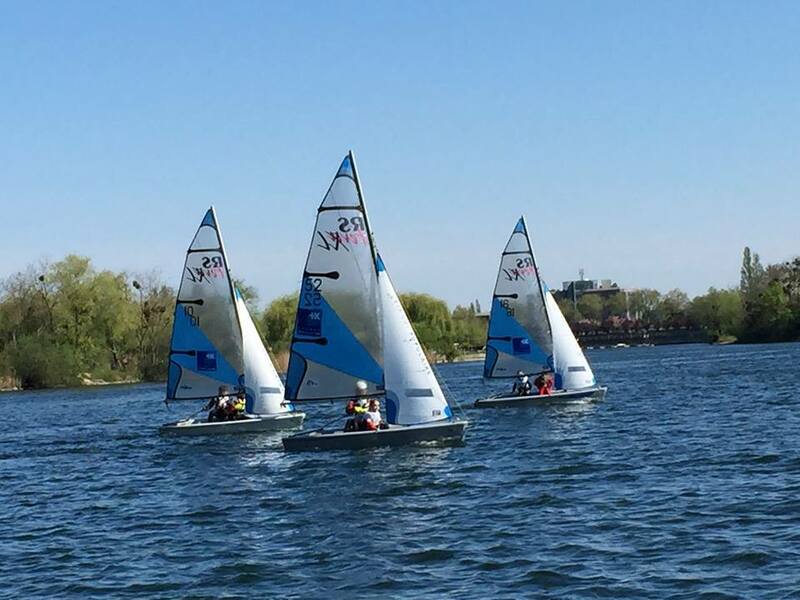 Club and youth sailors also tested the boat, speed testing together against each other. The local youth team were open minded to the new boat and at the end of the day they all enjoyed the ride, comparing rather than opposing. This is a great step. Viry club is also a place where people walk or run through so I had also 2 guys not from the club nor the event coming back on Sunday for a demo because they had seen the boat on their Saturday walk!